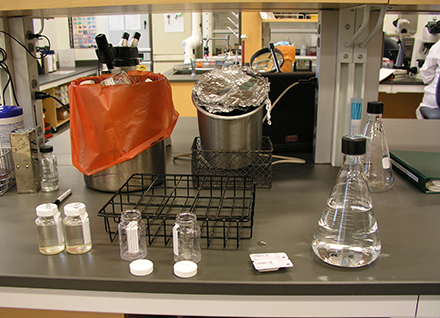 The Vermont Department of Health Laboratory provides chemical, radiological and microbiological analyses for public and private drinking water. Our laboratory is accredited by the National Environmental Laboratory Accreditation Program (NELAP) for drinking water testing. Curious about what you should test? Check out our What Should You Test page. Read descriptions of all available water testing kits. Read more on why you should have your water tested. Map of certified drinking water laboratories. Read more on both ground and drinking water. The links below will help you learn about contaminants that could affect Vermont waters, including your drinking water.